Extra Heavy Duty Access Gates for movable security applications that offers the benefit of flexibility which exceeds standard installation requirements. Our Extra-duty portable gate models are engineered for use as access control units in schools, parks, businesses, retail stores, churches and community centers. Our portable security gates come in floor mount, wall mount and pressure fit configurations. 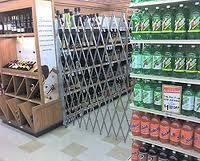 Aisle Folding Gates are lightweight to move from setting to setting with little effort and are designed for use in retail stock inventory operations, maintenance procedures, or any type of temporary access control situation. Scissor Gates enlarge up to 12′ and are a fast and easy way to close off any area and are perfect for providing momentary access control in any area. Barrier Gates from Tampa Bay Door Gates allow quick and easy portable access control. Our barrier gates are made from galvanized steel and powder coated in yellow and black safety colors for high visibility. 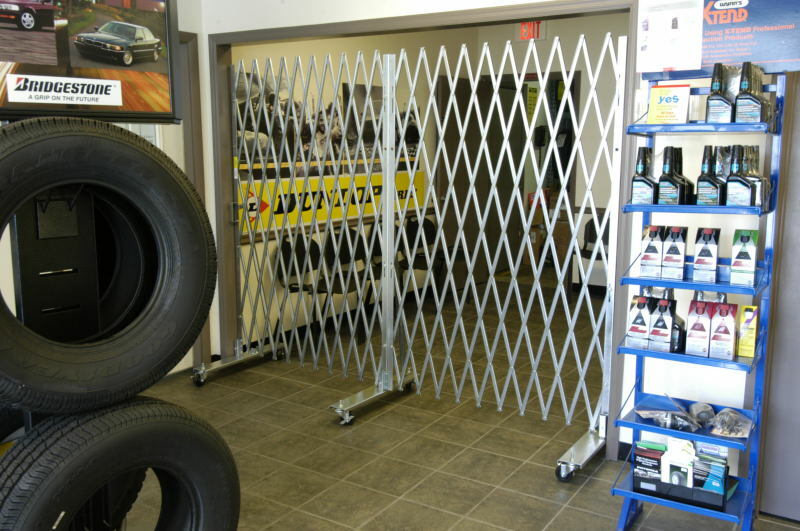 Barrier Gates are ideal for providing brief access control in any kind of area — including entryways, hallways or aisles.